This mod adds terminals for managing and overviewing your Integrated Dynamics networks. 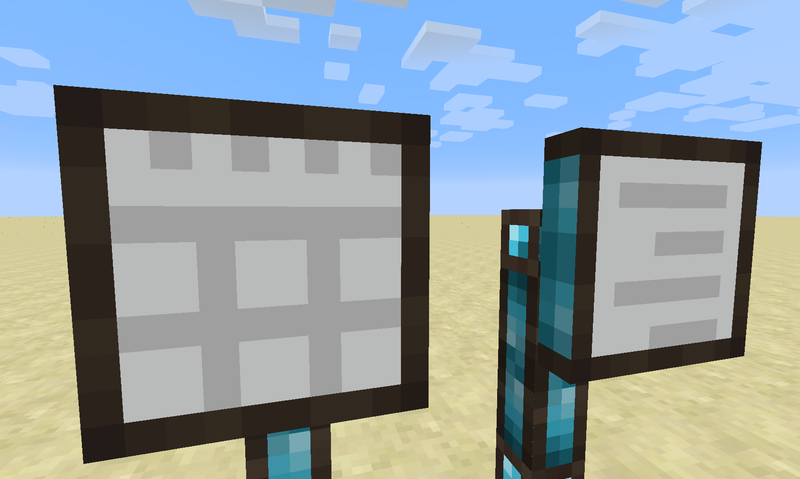 All stored items, fluids and energy become visible and interactable from a single place using the Storage Terminal, and crafting jobs become manageable from the Crafting Job Terminal. 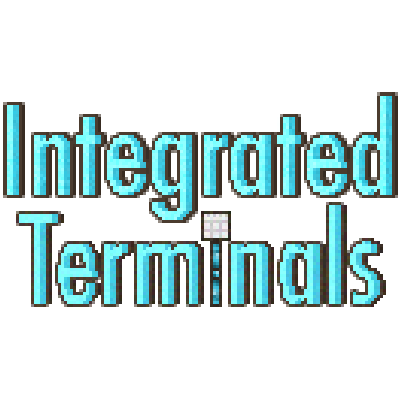 The Storage Terminal does it simple thing: it provides a central access to your storage network (which is achieved by using Integrated Tunnels Interfaces). 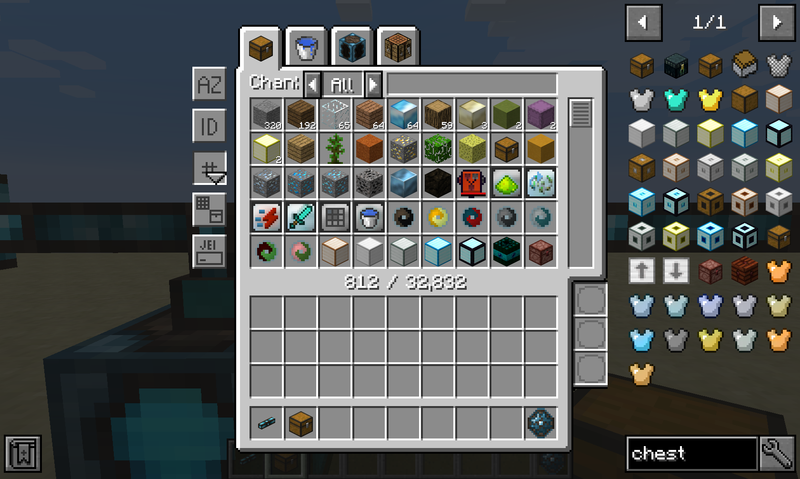 The Storage Terminal GUI provides a tab for each ingredient type in your network, such as items, fluids and energy. 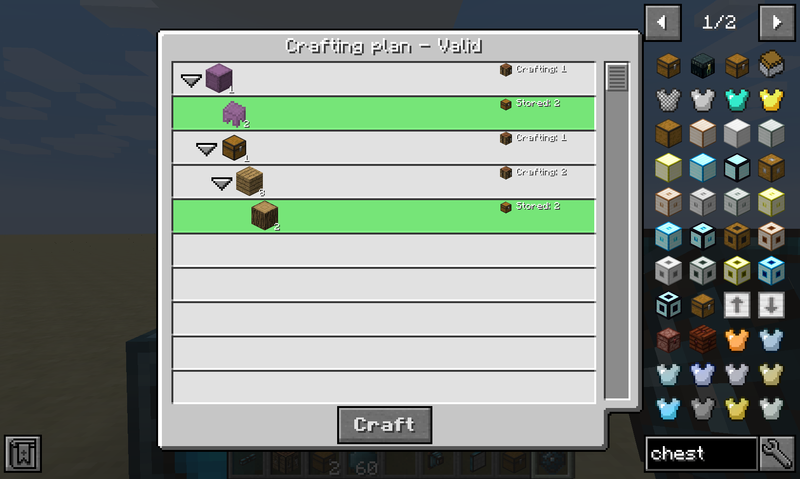 Additionally, it also provides a tab for crafting things directly inside the network. 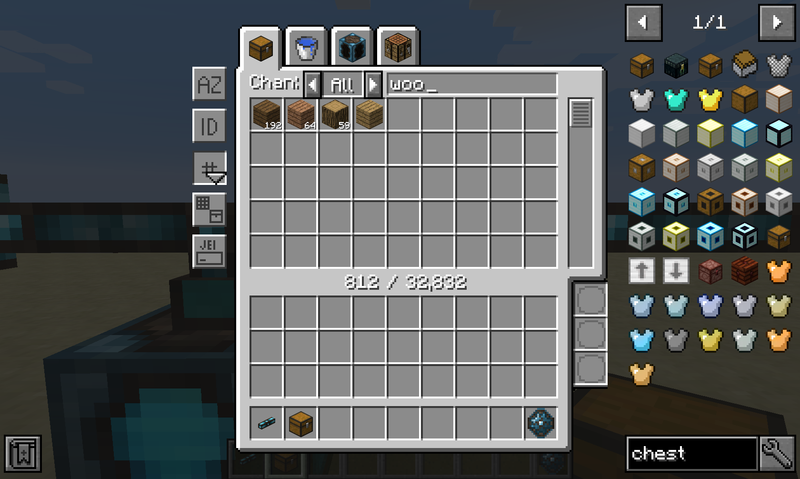 A wide range of sorting and advanced filtering options are available, such as filtering by mod ("@minecraft"), tooltip ("#FE") and oredictionary ("$wood"). Furthermore, you can even filter dynamically using Integrated Dynamics predicates that you can insert in the three bottom-right slots. 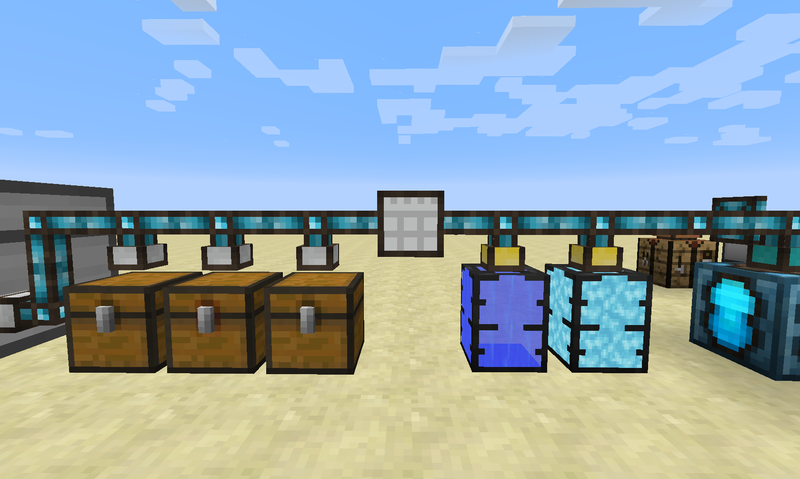 Fluids and energy can be extracted and inserted in a similar way as items, with the only difference that fluids and energy must be in a valid container when inside your inventory. 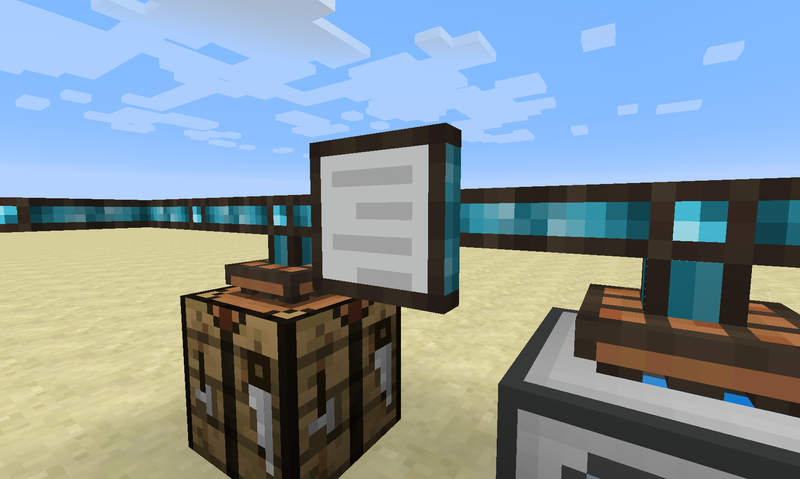 If you have a supported autocrafting mod such as Integrated Crafting installed, then all crafting options from the network will be shown. After clicking on a crafting option and providing an amount, you will be prompted with a crafting plan that will be executed when confirmed. 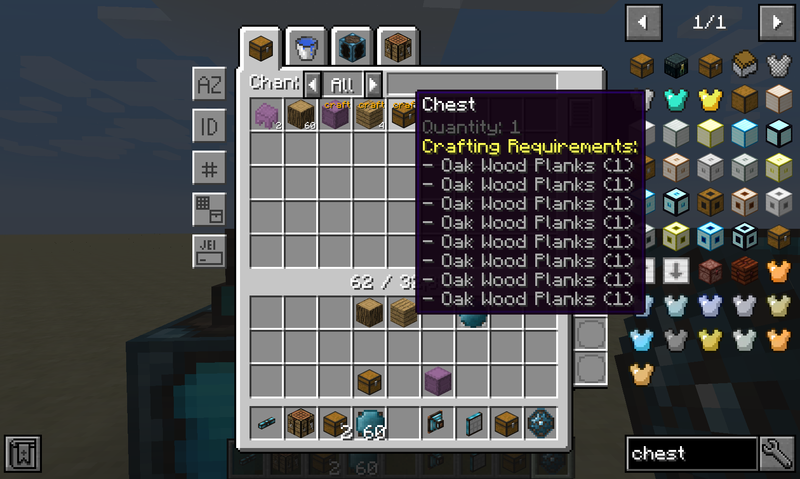 This part is only useful if you have a supported autocrafting mod installed, such as Integrated Crafting. 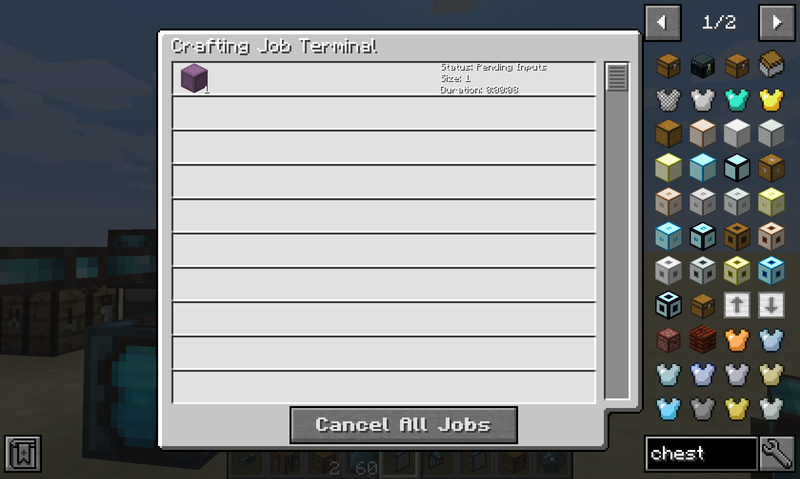 The Crafting Job Terminal allows you to view all active and pending crafting jobs in the network. 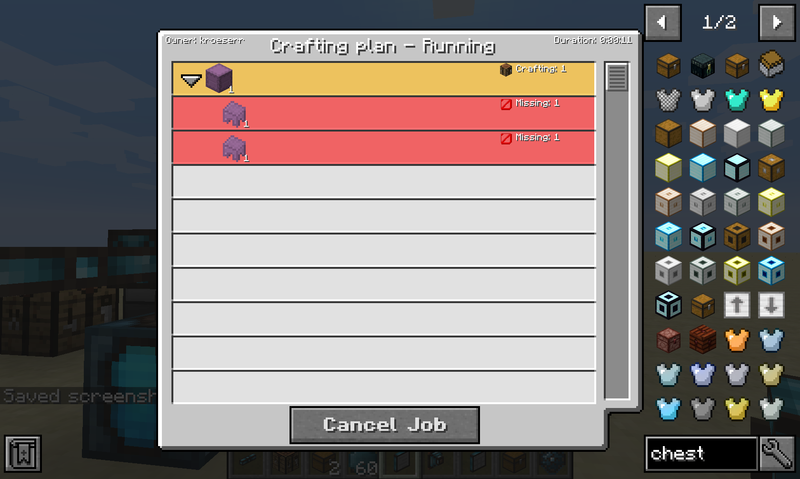 it will show you a live list of all crafting jobs in this network, and it will give you the option to cancel them. When clicking on a job, it will show you more details, such as pending dependencies or missing items, fluids or energy.